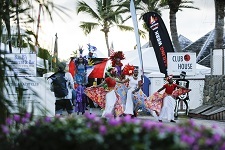 Over the last two decades, Antigua Sailing Week has become one of the biggest events in the international sailing calendar, and it is one of the most fantastic times to visit Antigua and take advantage of an island-wide party. From small beginnings, the regatta has developed into a world-class event and now includes an Ocean Series for boats that prefer ocean racing. 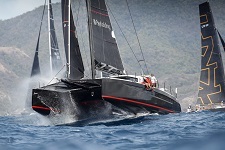 Antigua Sailing Week began in 1967 with only 10 boats, and at times has had over 200 entries. You don't have to be a sailor however, to enjoy the festivities of Antigua Sailing Week. The races are followed by many non-competing yachts that tag along to see the action, and there are fantastic look-out points around the island from which to spectate. Most of the racing is off the south coast of Antigua with some of the fleet going up the west coast to Jolly Harbour on Thursday. The Event Village is located in Nelson's Dockyard, English Harbour and is the central point at which all the crews gather after the day's racing is finished to exchange stories and enjoy happy hour from 3 to 6 pm. There is a combination of background and live music every day and evening in the Event Village and some nights there are parties in various other locations. Mid-Sailing Week, there is no racing but don't miss the famous Antigua Sailing Week Lay Day events held at Antigua Yacht Club in Falmouth Harbour! Antigua Sailing Week is a non-profit organisation that is sponsored and operated by the Antigua Hotels and Tourist Association. Planning for the event is a year-long task for the team involved and starts again every year as soon as Sailing Week finishes at the beginning of May. To visit Antigua at a truly magical time of year, be sure to visit during Antigua Sailing Week - each year for a week over April - May.